In whatever direction jazz might develop, I am ready to welcome the new jazz, bye-bye jazz era!. My music is meant to free jazz from jazz, without any labels. Twelve first-class Korean jazz musicians have come together under the name of Jungsu Choi Tiny Orkester. Their European debut Tschüss Jazz Era will be released on Challenge Records, followed by a stage debut at BIMHUIS Amsterdam and at the Tillberg Theatre on 28 December 2017. JTO is a big jazz ensemble consisting of five horns, cello, male voice, a four-piece rhythm section and composers with a unique, contemporary jazz interpretation and modern, original compositions. 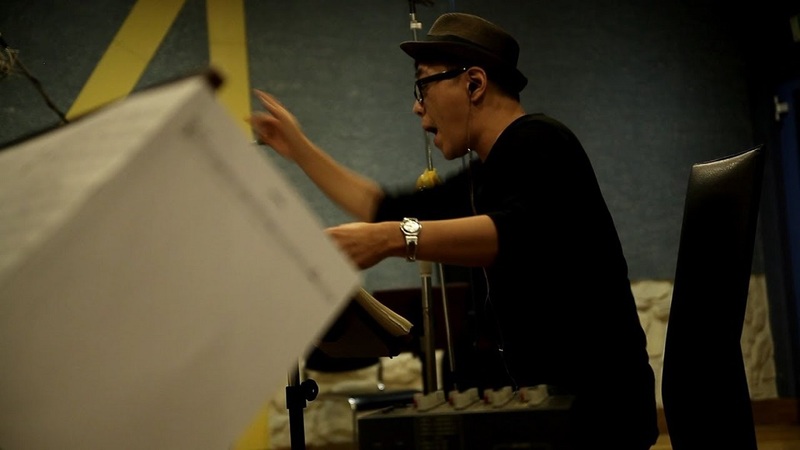 Band leader Jungsu Choi has had diverse rolls in all areas of music, be it orchestra, big band or electronic music. 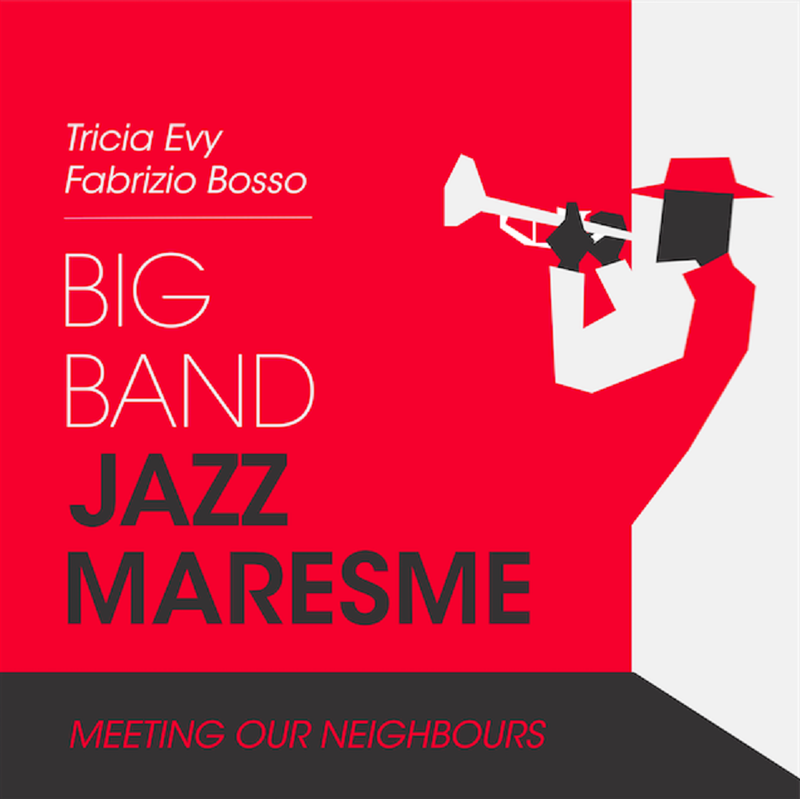 In his ten years of working in Europe, he has built a remarkable musical career and studied jazz composition, film music as well as electro-acoustic music at Vienna Conservatory and Kingston University London. His unique compositions and arrangements have been played by numerous orchestras and big bands. He has written for modern dance, musical, theatre, TV spots and film and also holds a leading position as educator with Korea’s Word Cyber College. Jungsu Choi has put together a great contemporary jazz ensemble with Korea’s best jazz musicians: Jinho Pyo (voice), Eunmi Kim (flute), Yusun Nam (alto saxophone), Hachul Song (tenor saxophone), Yejung Kim (trumpet), Junyeon Lee (trombone). They show an incredible performance, transporting Jungsu’s exceptionally demanding music with skill and creative solo performances. 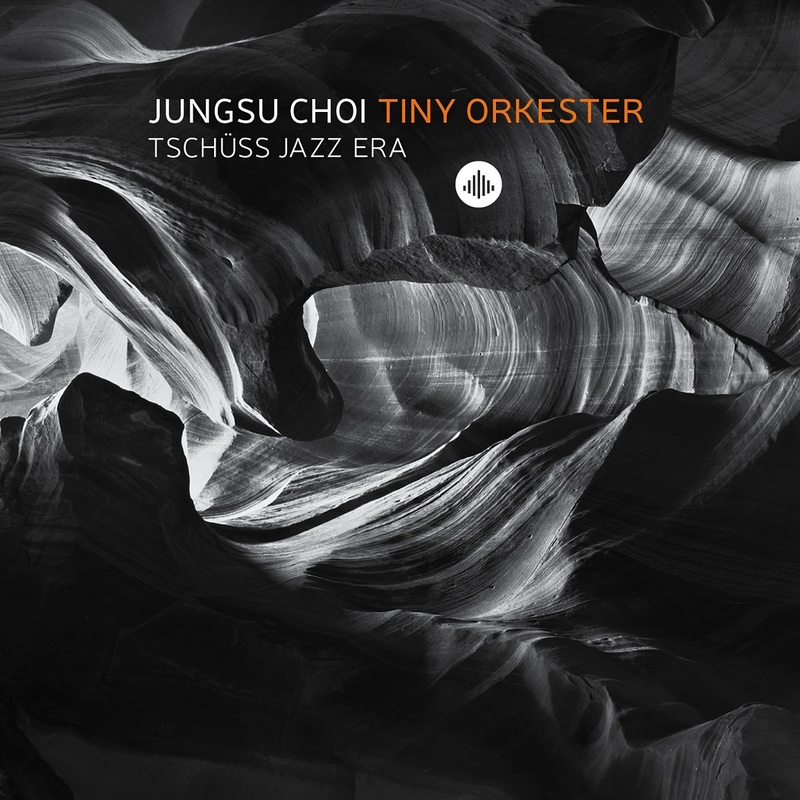 The compact big band Jungsu Choi Tiny Orkester shows well how modern, orchestral jazz can interpret old jazz standards in a unique fashion. Jungsu Choi: In the three years it took to compose and arrange the five tracks on this album, I never had the chance to actually hear them. In the course of all those years, they only existed in the shape of ink on hundreds of pages of paper. Tiny Orkester’s great musicians made it possible to transform music that only existed as ink on paper into real music! I had sketched half of the picture and my genius musicians coloured in the other half beautifully. That’s why this isn’t my, but OUR music. 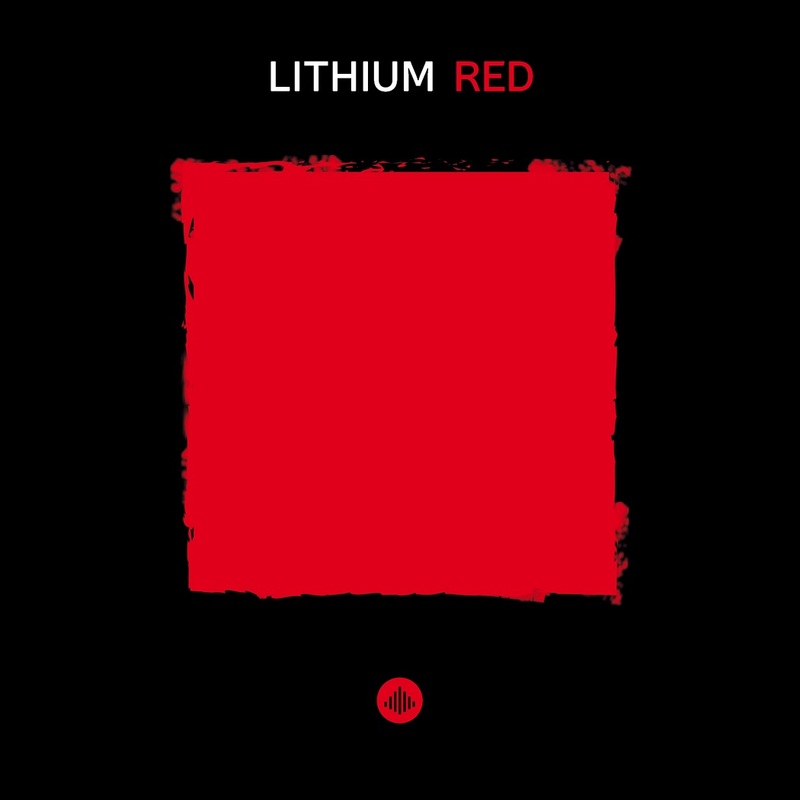 Lithium is the brand-new result of a collaboration of four talented musicians and composers, combining resolve, energy and years of experience. Lithium’s music lives from different genres, all of which are rendered by its members into a strong, unique sound. With many tours both as leader and with trumpet player and ECM artist Tomasz Stanko, pianist and composer Alexi Tuomarila has become a fixture in many European jazz projects. His fellow countryman, drummer Jonne Taavitsainen, is one of the jazz scene’s emerging talents. Joonas Tuuri plays double bass and electric bass. In his career as a bassist, he has played in many different formations. In his youth, Joonas studied music at the Central Karelia Music Institute in eastern Finland and today studies at the Sibelius Academy’s Jazz Department. The line-up is completed by the youngest band member, the Portuguese guitarist Andre Fernandes, who already has worked with a number of top artists such as Lee Konitz, Mário Laginha, Chris Cheek, Maria Joao, Tomasz Stanko, Bill McHenry, Perico Sambeat, Jeff Ballard, Julian Arguelles, David Binney, Avishai Cohen and Eli Degib. "Lithium may be my new favorite group... Each instrument seemed to move on its own, in its own space. In some magical way, however, they complement each other"
"Make a note: Alexi Tuomarila is one next big deals on jazz piano"
Corea and Gadd first crossed paths in 1965, when Corea briefly joined up with Gadd’s regular gig in Chuck Mangione’s band. Over the next 10 years, Chick became one of the most influential keyboardists and composers of his generation, in jazz or any other genre. Steve, likewise, became a drum legend, laying down ageless, iconic rhythms with Paul Simon, Steely Dan and countless others. In 1972, Corea reimagined his pioneering Brazilian outfit Return to Forever as an electric band, and Gadd became its first drummer. His commitments as the most in-demand session drummer on the scene could not accommodate RTF’s extensive touring schedule, but Corea & Gadd would reunite in 1976 for Corea’s Grammy-winning The Leprechaun and the acclaimed My Spanish Heart, whose mix of electric jazz and Latin rhythms echoes through Chinese Butterfly. Their camaraderie was the backbone of 1981’s Three Quartets, a watershed album for Chick’s writing and a master class in next-level straight-ahead jazz. By the time they cleared their schedules to get together at Corea’s Florida studio in early 2017, their unique chemistry provided Chick with a burst of compositional inspiration, beginning with "Like I Was Sayin’” and the playfully titled "Gadd-zooks”. Right from the opening seconds – a whip-crack pulse-quickening intro to the infectious "Chick’s Chums,” – Gadd’s signature is all over this album. He and Corea drive a band with bottomless reserves of firepower: the opener’s deep-pocket funk and elegant lyricism give way to "Serenity,” a showcase for Loueke’s stirring vocals and Wilson’s lilting flute. The band’s high-wire dynamic comes to the fore through the taut, roiling grooves of "Like I Was Sayin’,” which strips the ensemble down to a trio with Del Puerto for the session’s most full-throttle excursion. Corea’s keyboard mastery is breathtaking throughout, melding beautifully with Quintero’s percussive pulse for the intricate Latin sound of "A Spanish Song.” The tune strikes a unique balance between passionate emotion and effortless complexity. Disc one closes with the title track, inspired by a verse written by Corea’s friend, poet Malin Gelfan. "Your heart will tremble,” the brief poem concludes, "like a Chinese Butterfly.” The brimming, expressive interplay between Corea and Wilson alone is enough to deliver those palpitations. 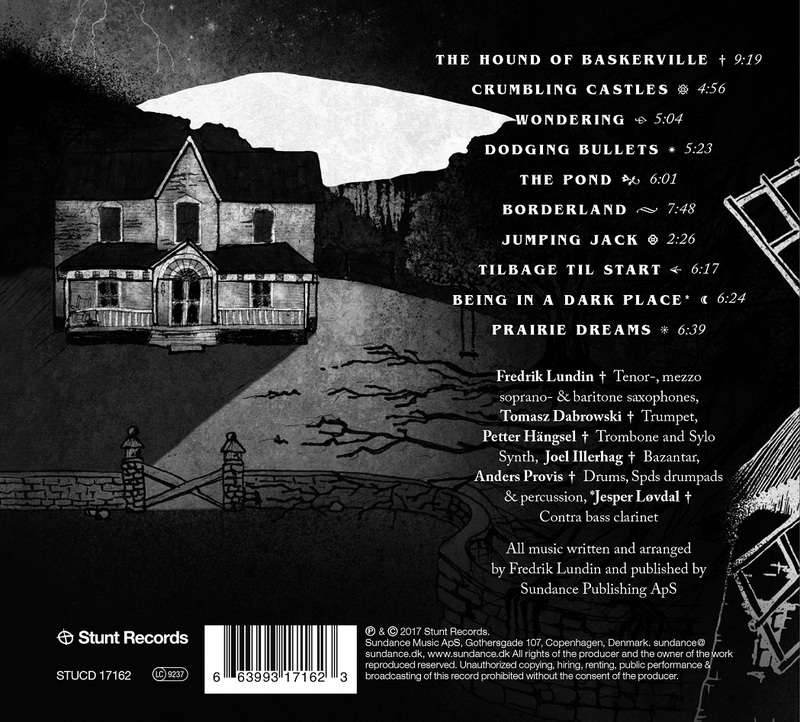 The three expansive tracks on disc two find the group stretching out even further. "Return to Forever” offers a glimpse of a parallel universe where Gadd stayed in the band, revisiting that iconic group’s eponymous theme song, with lovely, keening vocals courtesy of R&B great and Earth, Wind & Fire original member Philip Bailey. The track alternates between sparse, idyllic impressionism and joyous, celebratory bursts of soulful colors. The captivating drones of "Wake-Up Call,” with atmospheric tones that suggest a lush jungle enlivened by birdsong and chants, adds gentle African rhythms to the mix while maintaining a sharp focus throughout its epic 18 minutes – this is a tune that’s about digging deep, not losing control. Finally, "Gadd-zooks” offers a comic book-inspired reaction to Gadd’s drumset prowess, a 16-minute tasting menu of the drum master’s rhythmic eclecticism, paired with a stunning palette of shimmering tones and inventive approaches from Corea’s synths. Artist Marc Bessant’s cover design shows the form of a butterfly constructed by the instruments of the band – pianos for wings, drums for the head and thorax, etc. 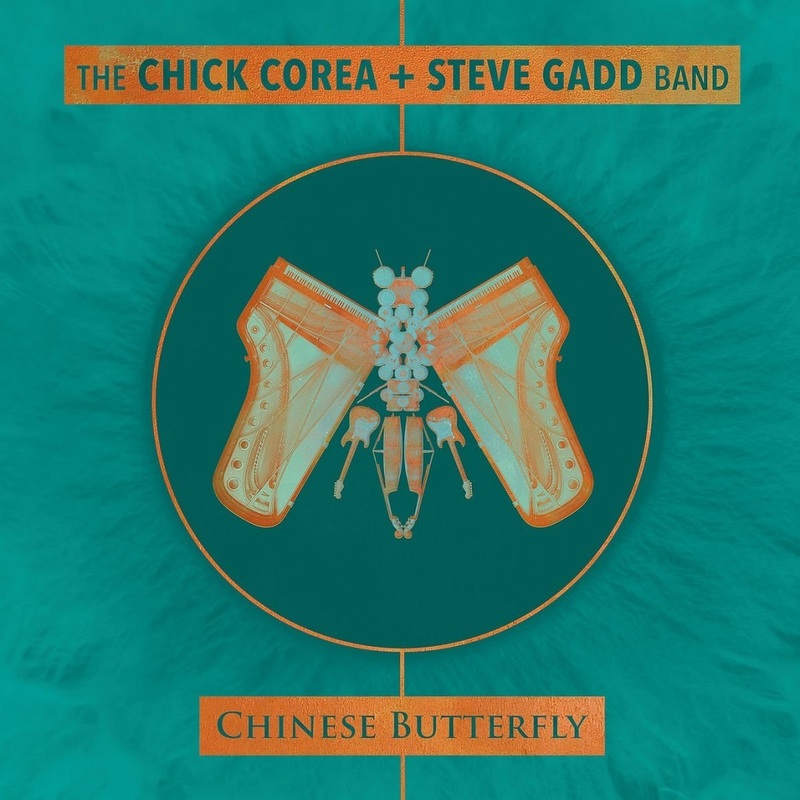 It’s an image that perfectly encapsulates The Corea/Gadd Band’s unique beauty – organic, one-of-a-kind, and inspiring in its ability to take breath-taking flight. 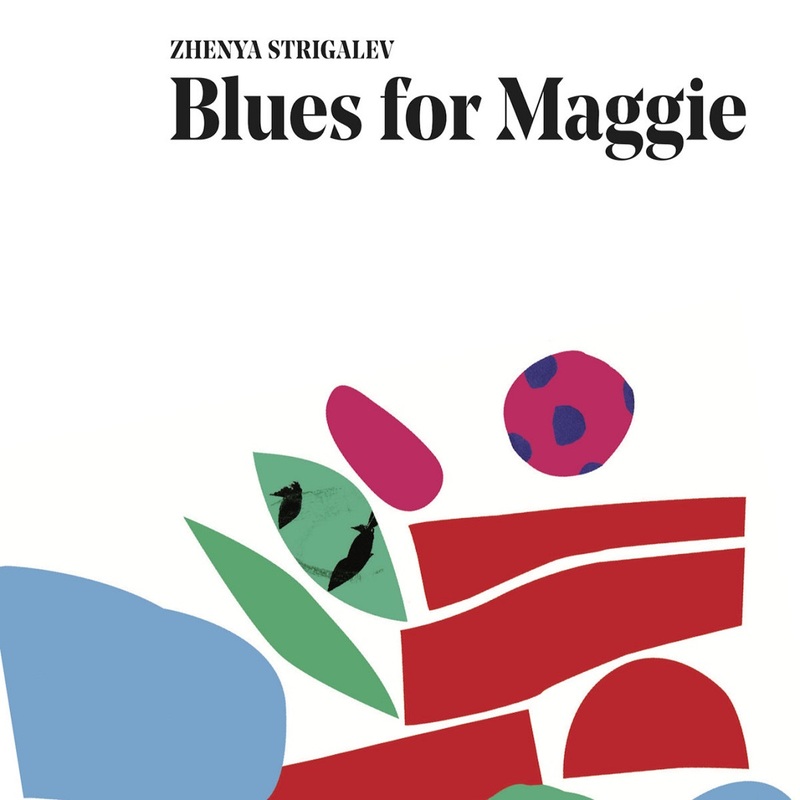 Alto saxophonist and composer ​Zhenya Strigalev’s fourth album for Whirlwind Recordings – Blues for Maggie –​ brings together in-demand drummer Eric Harland (Dave Holland, Charles Lloyd, Joshua Redman), Mauritian bass virtuoso Linley Marthe (Joe Zawinul, Mino Cinelu, Richard Galliano) and award-winning Argentinian guitarist Federico Dannemann (Mark Elf, Peter Erskine, Valery Polomarev, Chico Cesar, Shakira). 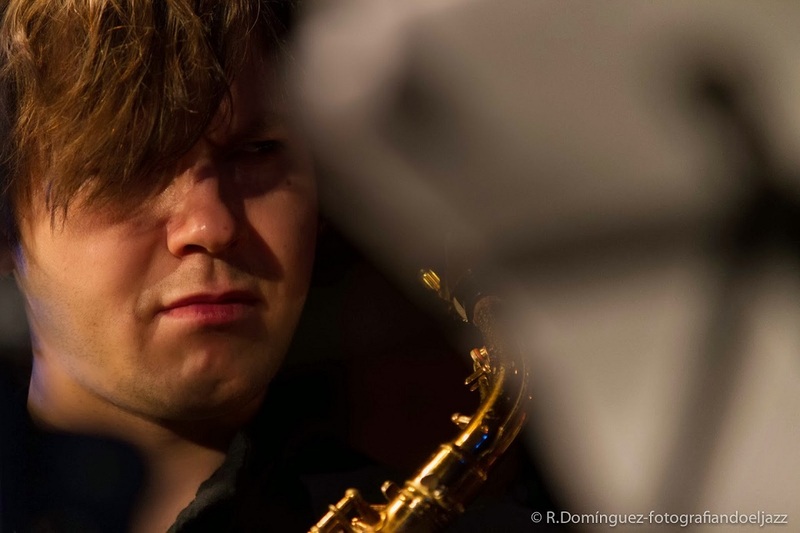 A departure from Strigalev's previous albums – recorded live, as well as featuring a guitarist in the line-up – it documents the saxophonist’s recent touring band which included Marthe and Harland, both of whom he introduced to each other and are now the rhythm section of choice for a number of artists including Chris Potter. 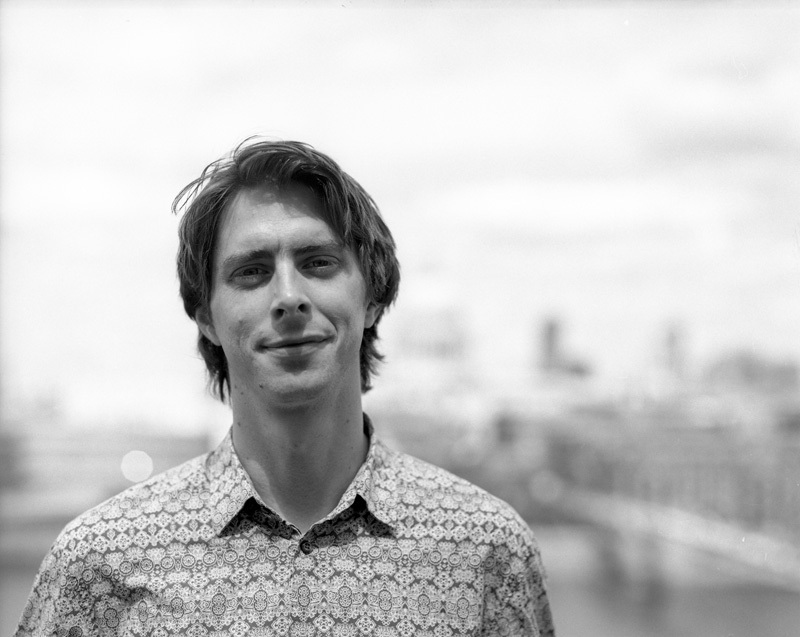 Zhenya met South American guitarist Federico Dannemann over 14 years ago, during his time at the Royal Academy of Music in London, and they hit it off straight away, both musically and as friends. But after finishing the course, Federico returned to his home of Santiago, Chile. 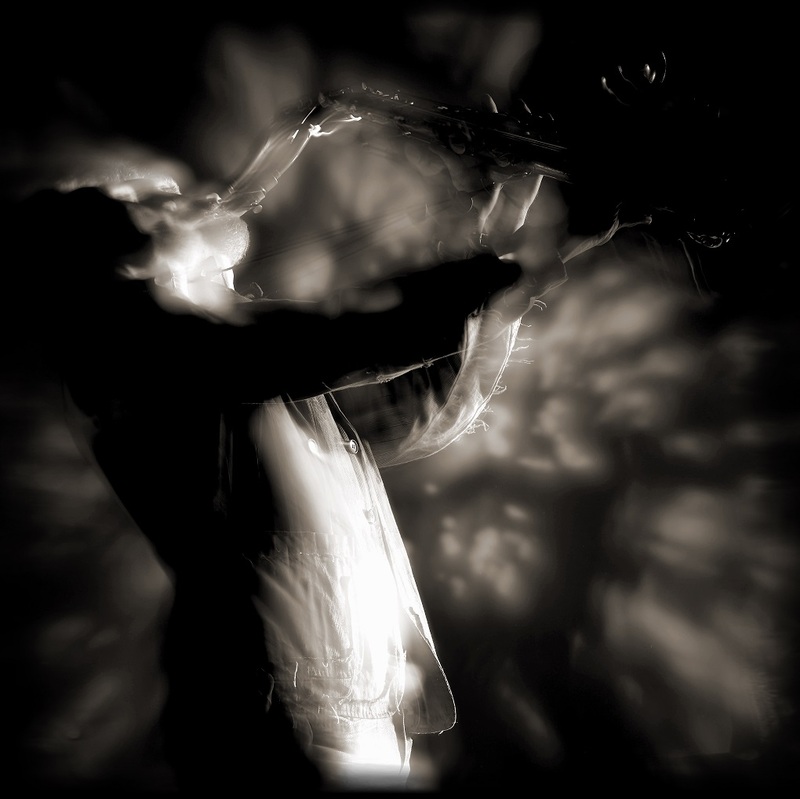 However, he remained the saxophonist’s favorite guitarist, possessing a rich and diverse musical knowledge combined with fluent technique and rhythm – exactly what Zhenya’s music is all about. Blues for Maggie was recorded at two well-respected European venues – during the band’s concert at Porgy and Bess in Vienna, Austria and after their gig at Paradox in Tilburg, Netherlands – and consists of seven original compositions. Its title references dedicatee Maggie Black, a well-known figure in London due to her love of jazz music and undying support for its musicians. Maggie and Zhenya met at the jam at the famous Ronnie Scott’s, back in 2011, after she was blown away by his version of ‘Body and Soul’. Since then, they have become close friends and she has become Zhenya’s ‘Pannonica’ for her support, inspiration and patronage of his musical activities, including tours and albums (without which they wouldn’t have been possible). Black is a true adventurer and shines with a love of life – an inspirational example of how to be mentally strong, generous, how to stay authentic regardless of the situation, how to trust people whilst at the same time being honest. She likes to stay at shows until 3.00am and often goes to concerts and festivals in different countries, even in other continents. The recording’s ebullient mood is heralded by sprightly reggae tune ‘Not Upset’, Strigalev on soprano also introducing his new creation, the ‘alto box’ (be ready for unorthodox sounds); and ‘Coda’ bookends the album with a different take on this. Soft, melodic yet cheeky ‘Wondering About Swing’ can, says the saxophonist, “be used at a retro dance party for cool daddies and grannies who never get old”, with further dance to warm the soul in quirkily electronic Latin-American groover ‘Happy Professors’. The story goes that Zhenya started playing this at a late set performance at Ronnie’s, and as Monty Alexander was on his way out, he stopped in his tracks to listen. “He liked it… hopefully you will, too”. Strigalev and Dannemann shine in bubbling, funky ‘Little Struggle’, with the advice, “There is no struggle! Just enjoy the groove”; and following a brief collaboration with Indian tabla player, Pinky, in a trio with his Academy friend and bassist Pete Cochrane, Strigalev included ‘Pinky’ (composed by Cochrane) in his tours, garnering a great response. At the centrepiece of the album, and fabulously immersive across 20 minutes, is frisky ‘Take Off Socks’ featuring the snappy, trademark Marthe/Harland duo, with Eric soloing over Linley’s synchronized keyboard-and-bass accompaniment to create a whole new tune within Zhenya’s original. Vibraphonist, drummer and composer Jim Hart’s ascension, especially over the past decade, has been nothing short of remarkable. 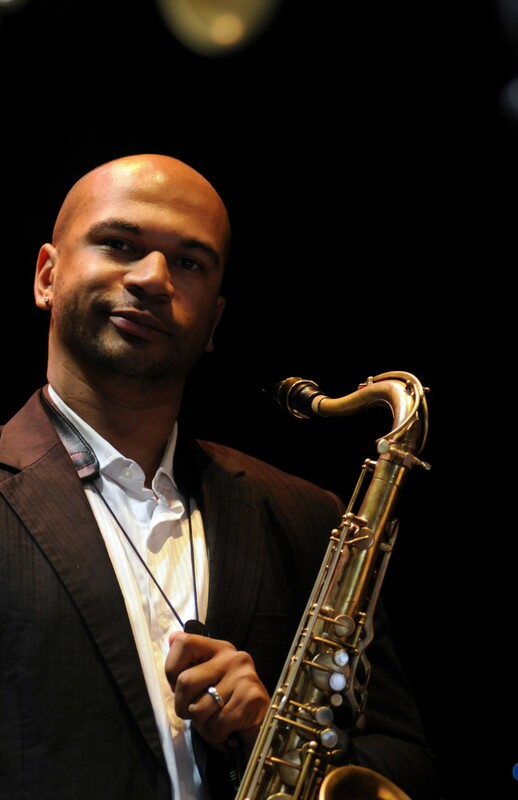 Much sought-after across Europe, he has worked alongside an illustrious roster of musicians including Stan Sulzmann, Sir John Dankworth and Dame Cleo Laine, John Taylor and Kenny Wheeler. Yet as bandleader, his own Cloudmakers Trio – with double bassist Michael Janisch and drummer Dave Smith – introduced a distinctly energized take on the traditional vibraphone ensemble. 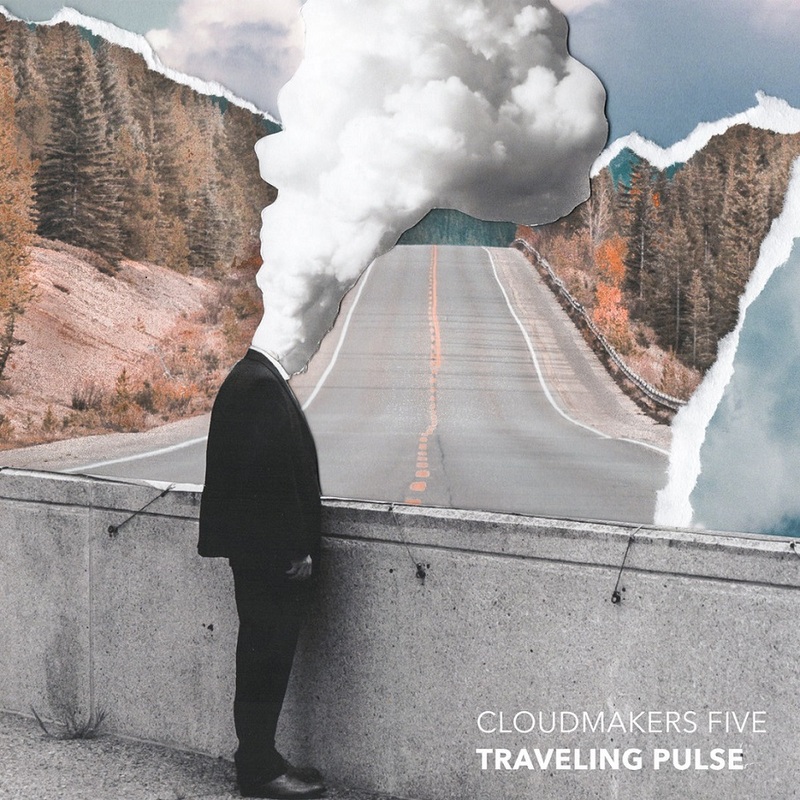 Taking the vision a significant step further, Traveling Pulse is the first release from an augmented Cloudmakers Five project introducing saxophonist/clarinettist Antonin-Tri Hoang and electric guitarist Hannes Riepler – a superbly-produced live recording garnered from two resounding nights at London’s Vortex Jazz Club which concluded their January–March 2017 tour. It was the immediacy of The Cloudmakers Trio’s vibrant first release (Live at the Pizza Express – Whirlwind, 2012) which presented him with the clear intention of recording another live album, Hart recalling: “The idea just jumped off the page at me as a great thing to do”. The breadth of sound is striking, with Hoang’s alto sax or clarinet on top, threading his distinctive reedy tones through, while Riepler offers an impressive range of guitar textures and electronic effects. That coalescence alone offers a very different dynamic to the more usual inclusion of piano, often conjuring a bewildering sonic mesh; but when merged with the synergetic drive of Hart, Janisch and Smith… that’s where the alchemistic reactions are sparked. Animated conversations between Hoang’s alto and Riepler’s solo lines are prominent in ‘The Past is Another Country’, as are the mellifluous clarinet-and-guitar juxtapositions of lullaby ‘Golden’. Increasingly chattering ‘The Exchange’ reveals “an illusive resolution – a melody trying to get somewhere, but never quite does”, while percussively turbulent ‘The Road’ (a journey to Hart’s native Cornwall) excitingly showcases the new-found intensity of the five. Zawinul/Shorter-hued escalations characterise brightly chiming ‘Cycle Song’; and a complex “8 over 9 over 12” Ghanaian polyrhythm (which the vibraphonist mastered four years ago and can now summon instantly) infuses ‘Traveling Pulse’ with bewitching, mesmeric vigor. Revelling in this new direction, Hart affirms: “I’m happy to have written some more expansive music, with all the richness that offers. 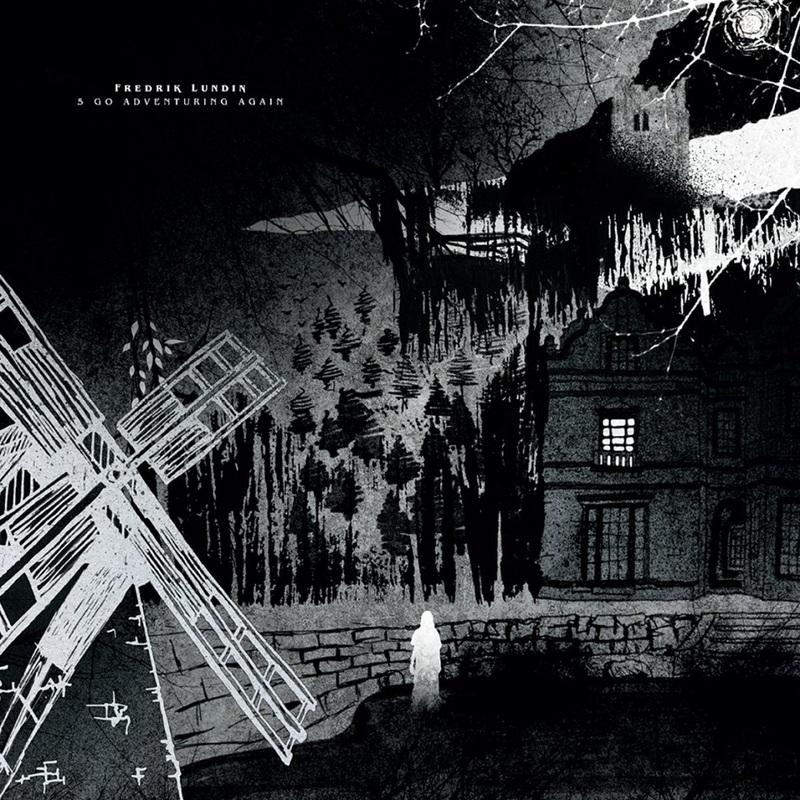 It’s all typically propulsive, yet also abstract, picking you up on a conveyor belt of rhythm and taking you off on an Escher-like journey somewhere”. With the quintet FIVE GO ADVENURING AGAIN, Lundin has created a “small” band with a very large and richly faceted sound. The five unique musicians take advantage of the orchestra’s sound possibilities, and in the compositions, provide ample space to utilize their improvisa- tional potential. The explosive music is tempered by the Polish trumpeter Tomasz Dabrowski, two Swedes: Petter Hängsel on trombone/synthezeizer and Joel Illerhag on the bazantar (a homemade double bass with resonance strings), and two Danes: Anders Provis on acoustic and electric drums, and the Maestro himself on various saxophones. The joyful freedom of Ferde Grofé’s ‘On the Trail’ captures precisely the intended spirit of Walter Smith III’s new album Twio. 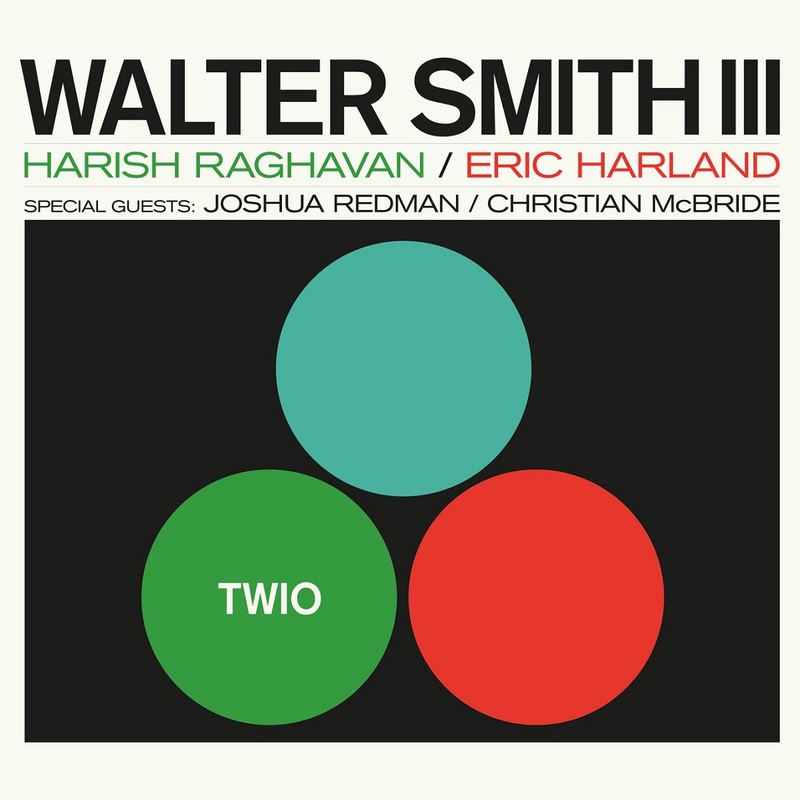 Collaborating closely with established colleagues in double bassist Harish Raghavan and drummer Eric Harland, the ​Texas-native, California-based tenor saxophonist & composer presents his own illuminating vision of the saxophone trio while also inviting, along the way, guest appearances by Joshua Redman (tenor saxophone) and Christian McBride (double bass). Working and touring for the last fifteen years, playing multi-layered compositions in different configurations with artists such as Terence Blanchard,​ Roy Haynes,​ Sean Jones, Ambrose Akinmusire and with his own bands, Smith also began to revisit classic jazz songs. He elaborates: “I would try and alter tunes quite radically by rearranging, reharmonizing and altering meters to a point where I was barely playing the original song; but realized that I was confusing the point of playing the songs, so I began to interpret them more directly, as they were first meant to be played. For this album, out of around twenty recorded songs, I chose nine pieces that I have a particular relationship with and have always loved playing, including some which are maybe less frequently heard”. While that concept appears straightforward, this recording (the saxophonist’s fifth as leader) reveals much about the ultra-confidence and musicality which these established players bring to the table, entering the studio to intuitively share ideas and discover uncharted paths. Taking sparkling dual-tenor feature ‘Contr​a​fact’ as an illustration (crafted around ‘Like Someone in Love’, but in a five meter), Smith explains: “I simply sent Josh the melody and we showed up and played... With no rehearsal, it was just ‘OK, here we go’; and that’s what I wanted for this project – just fun and live; an open sound without a chordal instrument defining the harmony, rhythm or direction. I had ideas for endings, for example, but on once instance after I had said to Christian, “We’ll close it like this”, when we got to that point he did something different which was perfect because it helped the music feel loose. We were all receptive to that organic process”. Here, Thelonious Monk’s ‘Ask Me Now’ waltzes and trips through “a million chord changes”, Smith ever the ebullient, characterful melodicist; then Harish Raghavan’s pacey, bass propulsion of the popular Jerome Kern ‘Showboat’ tune, ‘Nobody Else But Me’, is embellished by Harland’s coruscating percussion. Sammy Fein’s amiable ‘I’ll Be Seeing You’ becomes buoyed by McBride’s clear, strutting bass; and the evergreen groove of Wayne Shorter’s ‘Adam’s Apple’ is fascinating in fizzing drum-featured trio guise. Two duo spots offer Carl Fischer’s ‘We’ll Be Together Again’ for sax and drums (“one of the best A-sections of a song ever written”) and a blithe sax-and-bass promenade on Gigi Gryce’s ‘Social Call’. Jimmy Rowles’ ‘The Peacocks’ is bathed in luscious tenor sonorities, and that Dayna Stephens arrangement of ‘On the Trail’ is a six-minute wonder as Smith and Redman josh genially across the rhythm section.